When you want to get rid of an app, it's harder than it should be to make sure all the app’s files gone. Mac utilities: Do uninstallers work? Coming from a Windows environment I find that uninstalling a Mac OS application to be very difficult. My understanding is that in some cases you can simply remove the app from the Applications folder, but that is not always the case. There are other cases where the software vendor will provide an uninstall application. How can I easily uninstall apps on my Mac? Uninstalling apps has never been easy on the Mac. You can sometimes just delete the app from your Applications folder, but that rarely deletes all the files that app has created. 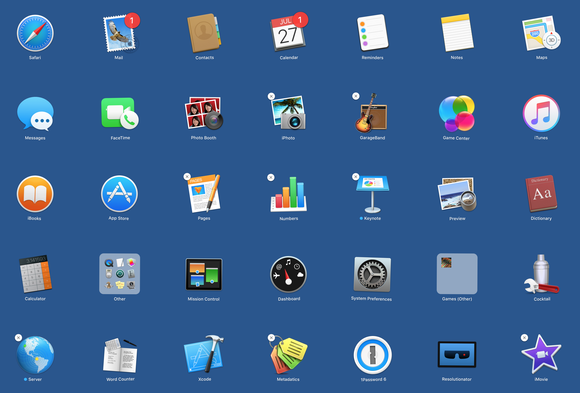 Or you can delete apps installed by the Mac App Store from Mission Control: click and hold on an app’s icon. When all the icons wiggle, you can delete any app with an X at its top left corner by clicking the X. You can uninstall some apps from Launchpad. Using an installer, either the OS X Installer app, or, less commonly, installers created by developers. This is necessary when the app needs to install support files in locations that require an administrator’s approval. You’ll see a request for an administrator’s password for these installations, which may install files in the top-level System or Library folders. Via the Mac App Store. In this case, the Mac App Store app installs apps in the Applications folder. Apps installed from the Mac App Store-other than those from Apple-cannot install files in system folders. Manually. Third party apps may be delivered as zip archives, or in disk images. You either decompress the zip archive and move the app to the Applications folder, or mount the disk image, then move the app it contains. Some apps may install additional software or support files later, either the first time you launch them, or if you download additional files in the app. GarageBand is an example of the latter; you can choose GarageBand > Sound Library to download sounds and loops to use when creating music. Apps also create support files, such as preferences, and store data as caches, downloads, logs and more. So deleting an app from the Applications folder won’t delete all the files that app has written or saved. In most cases, these files don’t take up much space, but some apps—again, GarageBand is a good example—can store several gigabytes of files. It is more problematic when an app installs software in the System folder or the top-level Library folder. This may be a helper app or extension that continues to run in the background, even when its app is no longer present, and could potentially cause problems with OS X or other apps. When apps are installed using the OS X Installer app, they write files called receipts. Theoretically, one should be able to use these receipts to uninstall apps; they contain a list of the files that an app installs. You should be able to, for example, open the Installer app, then select an application and have Installer remove it and all its files. Some third-party developers offer uninstallers, but these aren’t the rule. In many cases, these uninstallers aren’t installed with the original apps, and you need to search a vendor’s website to find one. Or you may need to launch an original installer to use its uninstall option. In most cases, it doesn’t matter much if deleting an app leaves some files behind: most of these files don’t take up a lot of space. But sometimes apps can leave a lot behind: caches, additional software, and more, that can use a lot of storage and potentially cause problems with your Mac. It shouldn’t be too hard for Apple to design an uninstaller, even for apps that you simply drag to the Applications folder. It would make things a lot easier for Mac users who want to clean out apps they no longer user, and sweep away space taken up by unneeded files.